Melt the butter, golden syrup and chocolate together in a bowl over a hot pan of water. Add the branflakes or rice crispies and mix together. 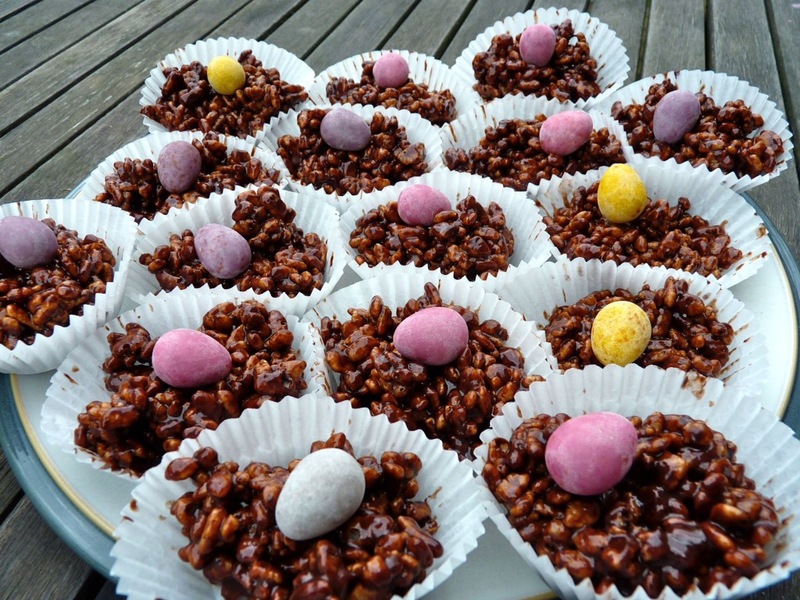 Spoon into cupcake cases and add a cluster of mini eggs to resemble a nest. Put into the fridge to cool and set. Voila, perfectly easy Easter Cakes!